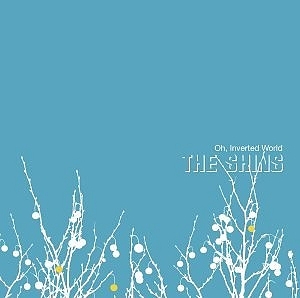 The Shins are of the Minus the Bear school of song titling – ridiculous and having nothing to do with the content of the song. I give you Know Your Onion! and Caring Is Creepy. When bands do that I either get a painfully artsy and over-serious vibe, or the opposite: immature and unable to deal with scrutiny. Either way, not so great. I know what not to do in my next life when I start a band. I have to admit I’m a fair-weather Shins fan; this is the only album that I own. I bought it because it was hip (though I did like the songs). Upon listing to earlier and later works, I don’t like them as much, and therefore didn’t buy them. This is truly a great album though; it’s fun to sing along to and it’s over before I know it.